The line is anywhere you want it to be. I used to believe that all the images I saw in magazines were perfectly shot by photographers who know the mastery of lighting....and then I shadowed a bunch of them and realized that all those cool things I saw in magazines were 70% lighting and 30% retouching. It's easy to buy into the modifier propaganda and there is a place for all those modifiers, but most of the super high end stuff you see is a little bit illusion. That is so true Patrick. Magazines just like to retouch everything. I just attended at a talk last night where the photographer explained how she shot those covers and iconic portraits. Actually a lot of working photographers and creatives rely quite a bit on photoshop - let's just fix this and that. Magazine isn't a good reflection of photography as it's not their ultimate goal, more like a tool. Magazine may retouch skin, fix reflection in glasses, change background colour, copy&paste hair here and there, but no post will fix bad photography. If it's a good magazine they will hire a capable photographer who will take care of most things during the shoot. So I believe it depends on the purpose. If we are on a paid job then efficiency is paramount. It will determine whether to reshoot a photo or simply fix in post. However when it comes to pure photography in an art form. We should not compromise as long as we are capable of accomplishing more. This way we will grow to become a better photographer. you make a very good, but unfortunate point. Camera manufacturers seem to be caught in 2 minds. They are not sure if they should join the new world with rapid releases, very short product cycles and vastly improved software, or stick with what they know. My guess is their management structures need time to adjust, however, they are running out of time.One has to imagine some of the "major" manufactures in this space will not make it through the next decade. Feels like we have seen this film before, during every transition. I don't know that it's unfortunate. It's just a different business model that serves a different clientele. As someone else pointed out, if you rush out new technology on a very expensive dSLR and it fails, your customers will be p****d. If your cellphone's video fails, who would know or care? For good or bad, the average cellphone user wouldn't notice the difference. Yes, indeed, I have heard that argument many times, and it does have some merit, however even military grade and ultra high technology firms are reducing product cycles, rapidly, its the new world we live in. Camera manufacturers do not have the long cycles they are used to anymore, and yes if their products fall, people will move to the next manufacturer that can deliver. It's certainly not the case we do not have the technological ability at this point to develop faster and more reliably. It's more of a management and culture issue. The guys over at Film Riot did a short sketch filmed with an older Iphone (4s) a few years ago and they go into detail about the pros and cons of the camera/phone. I have a Galaxy Note 4 that also does 4K and in good light it's pretty decent, especially if you then compress that down to 1080 so you can mix it in with 5DMk2 footage, you lose some of the noise then. I purchased a better video app (Cinema FV5) because honestly the base video recording app is HORRIBLE! Love it. It also makes me really sad. How can our extremely expensive cameras not compare to a phone... ugh. Thanks for putting out a ton of content lately guys. I'm really impressed with everything you've been doing! Honestly I don't understand why everyone is losing their mind on Lee for this. What is he really saying? He is saying HEY NIKON WAKE UP....4K is the standard for professionals. Guess what! Lee is correct. Nikon and Canon lost the video market to Sony! Why? Because Sony gave us what we need! Pro level features and quality. When they were pro video cameras ,then all the really pro Video cameras can be thrown out ? 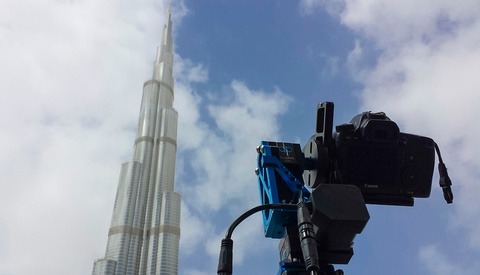 Why not to compare this to real pro video cameras ? I take video in Photo camera like some type of bonus... but i will never expect to do it professionally. And why not compare RED SCARLET with Phone ? I'm already on a 5K monitor from dell and shooting 16K in my dreams. I used to laugh at Apple and Sony cameras, but not any more. Apple and Sony have proven that they have the right technology and corporate strategy to innovate at a much faster pace than Nikon or Canon. Apple and Sony cameras cannot outperform DSLRs in all situations, but for most consumers this is far less important than it used to be. Nikon and Canon need to figure out quick how to innovate faster and deliver camera systems that the consumer wants now, or they may become the next Kodak. I would disagree with you on one small thing, Nikon has shown us that they are good at one thing and will continue to be good at one thing, the aspect of photography, a DSLR to nikon is for photos Period. They dont need to be good in video, as you see they dont have a video camera line, they will be around for a very long time because of the name and the photos they take... p.s. i do know they use sony sensors. Photo and video will eventually be the same thing. Obviously many photographers don't shoot video at this point but in the near future most of them will. Nikon could survive as a photography only company like Leica but they would be a niche brand. If they want to be an industry leader they need to make cameras that shoot quality pictures and video. I'm sick to death of people stating what the future will be. Maybe you're right but you don't know that any more than I know you're wrong. History is littered with people who were wrong. You can't easily name them because they've been forgotten. Being that almost every single camera on the market can shoot both video and stills makes me believe this isn't some crazy idea. But is that a result of consumer demand or checking off items on a marketing list? Or, perhaps, a case of 'it doesn't really cost anything to do it so why not'? My point is: I've seen surveys asking people if they shoot video or not and the majority don't. My camera shoots video and I never even remember the fact. I can't tell you how many times I'll take pictures of an action event and later think, "dang (or something that sounds a lot like that), I should have taken a video of it!" "Photo and video will eventually be the same thing." No. "Still" images have and will continue to have a very valid place in media, and there will be plenty of photographers who want to concentrate on stills and have no interest in videography. I think you are guilty of projecting your own wants, needs, and artistic path onto the rest of the photography community with that statement. Many of us have little to no interest in being a hybrid photographer/videographer. 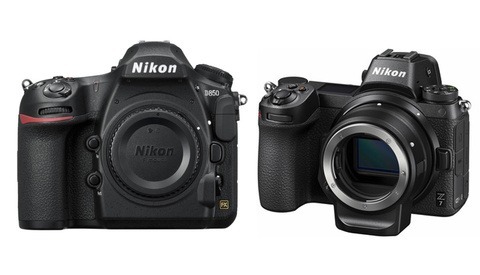 That said, if Nikon can add all the features videographers want without impacting the ability to take top-notch stills, then I'm all for it, but as someone who has no interest in going the video route, I want Nikon to concentrate on still photographer foremost. P.S. To both you and other contributors to fstoppers: I have to concur with other readers that this veritable flood of iPhone posts has become more than a little annoying. Even if you folks aren't receiving any money or incentives from Apple, it's coming across as excessive. hey here is a novel idea... how about a DSLR that is only a DSLR... if you want video go buy a video camera.. I hate that the cost of a new still camera includes video, something I will never use it for. Adding video features to cameras has not raised the price of them. 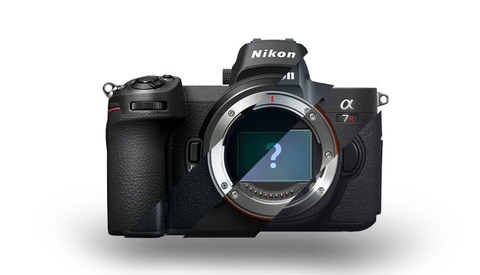 The Nikon DF has purposely removed the video feature and it costs more than the D810. I love the fact that I can pick up one camera system and it can do every single thing I need. I shoot stills and video at every wedding I shoot and I am not going to carry around a separate video system on a tripod as I move from shot to shot. Yeah the D4 sensor isn't really that great now. That camera is the flagship because of it's frames per second and autofocus but it doesn't win the ISO or megapixel award anymore. The D5 will no doubt be the best when it comes out but towards the end of the flagship cycle, the lower end cameras almost always beat the image quality of the D3/4 series. 4k is supposed to be coming out on the D5, which means it will be on the next round of semi-pro nikons as well; Nikon knows 4k is a desired feature and I'm sure when they make it more readily available, it will be excellent. Side note: 1080p Flat Profile nikon video MUST BE GRADED to unlock all the potential within, it is a base for adding color/contrast/sharpness to make the finished product look however you want. Keep in mind that I didn't shoot flat. I shot neutral which is far more constrasty than flat. you should shoot flat and grade it though, seriously, it will make a huge difference, and you can even make some LUTs that will get you an excellent image with a few clicks. There is a world of difference between camera sharpened images and computer processed sharpness, which is also where the downscaling is gaining an edge. Also, I asked below, but I am getting an iPhone 6s+ and wanted to know if you exported the footage as 1080p and then reimported to do 200% test? If you just did it on PP timeline, it's not really a fair test. I plan on using my phone (at weddings when we are filming also) as a time lapse and b-roll 4k solution when i actually want a deep dof (which is rare) Is there a limit on recording times in 4k? But then I would have to get a third party app and do that for the phone as well.